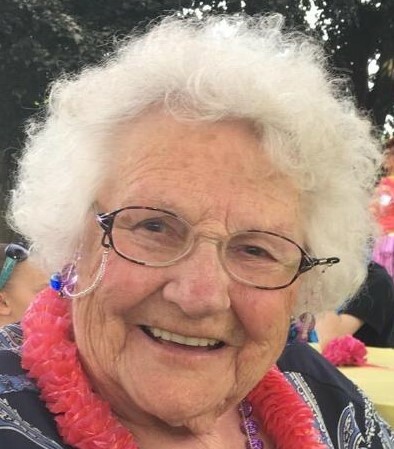 Obituary for Kathleen S Wilson | Schlup-Pucak Funeral Home Inc.
Kathleen S. Wilson, 94, formerly of Kenmore went home to be with the Lord, March 25, 2019. Born in Akron, Ohio on December 7, 1924 to the late Howard and Hannah (Fortney) Edmiston. She lived in Kenmore for 70 years where she worked as a cashier at a local grocery store. She enjoyed traveling with her friends from the Kenmore Senior Center. Preceded in death by her parents; one brother; two sisters and her beloved husband, Walter; she leaves behind to cherish her memory, sons, Walt (Sharon) and Robert (Sandra) Wilson; five grandchildren and four great-grandchildren. Friends may call from 5-8 p.m. Wednesday April 3, 2019 at the Schlup Pucak Funeral Home, 788 Kenmore Blvd, Akron. Funeral services will be held 11 a.m. Thursday at the Funeral Home. Burial to follow at Greenlawn Memorial Park.